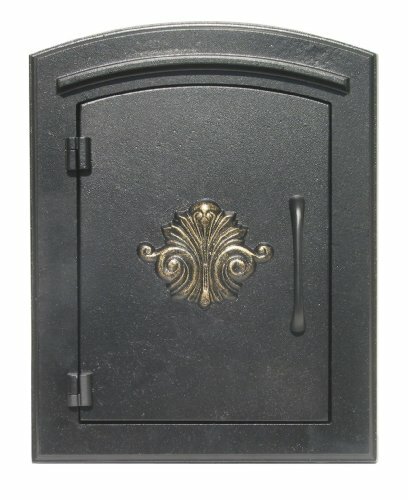 This decorative cast aluminum mailbox can be easily inset into a column, pilaster or wall. It can also be matched with an optional newspaper holder, item # new-1415-bl or add item #man-lock it to convert this to a locking mailbox. The doors have a tough powder coat finish, are sealed against the weather and it features a tough composite masonry box built to last. Oversized masonry box will hold up to seven days of mail. 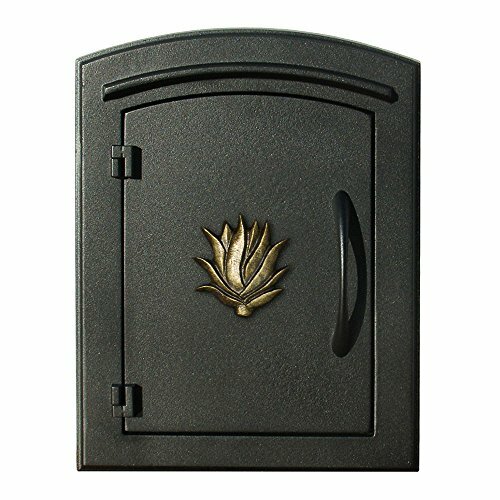 (Faceplate dimensions: 11 inch x 14.5") (product dimensions: 16 inch x 8.5 inch x 12") weighs 10 lbs. Adds a unique look to a residence . Black finish . Some assembly required . 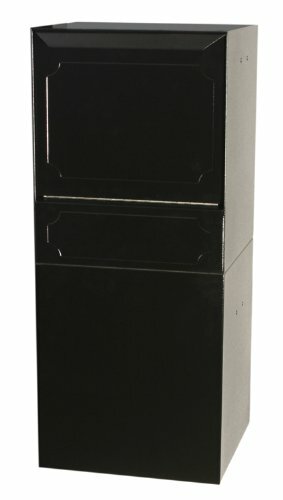 Salsbury 4100 Series Column Mailboxes - Non-locking - Plain Door may be used for U.S.P.S. residential door mail delivery. Made of die cast aluminum. 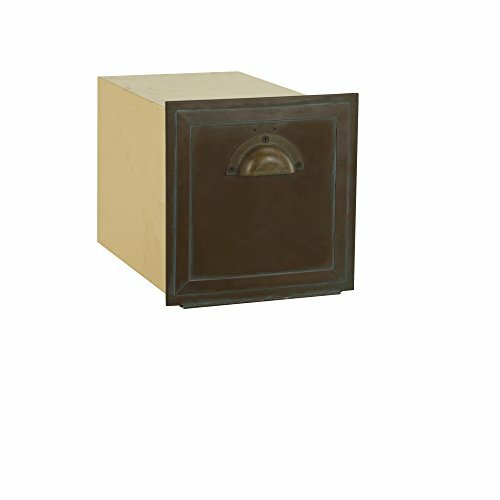 Column mailboxes overall dimensions are 11-1/2'' W x 11-1/2'' H x 15-3/4" D. Rough opening dimensions are 10-1/2'' W x 10-1/2'' H x 15-1/4" D.
Salsbury 4440 Antique Brass Column Mailbox - Non-locking may be used for U.S.P.S. residential door mail delivery. Made of solid brass. Antique brass column mailbox overall dimensions are 9-1/2'' W x 9-1/2'' H x 14" D. Rough opening dimensions are 8-1/4'' W x 9'' H x 14-1/4" D.
Salsbury 4100 Series Column Mailboxes - Locking - Plain Door may be used for U.S.P.S. residential door mail delivery. Made of die cast aluminum. Column mailboxes overall dimensions are 11-1/4'' W x 13-1/4'' H x 15-3/4" D. Rough opening dimensions are 10-3/4'' W x 12-1/2'' H x 15-1/4" D. Include a 10" W x 2-1/2" H solid brass mail flap with the word "MAIL" cast into it. Feature a durable powder coated finish available in black, green, beige and white. Salsbury Industries is an ISO 9001: 2008 certified company and has excelled in the field of manufacturing since 1936. 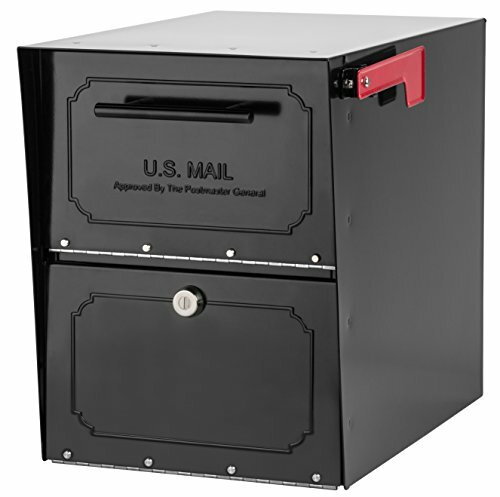 The large capacity Parcel Protector Vault makes it easy for the delivery agent to deliver mail, packages or bundles to homeowners. Simply open, drop and go! Large capacity package mailbox securely stores 2+ weeks of mail. Top mount post options available (sold separately). 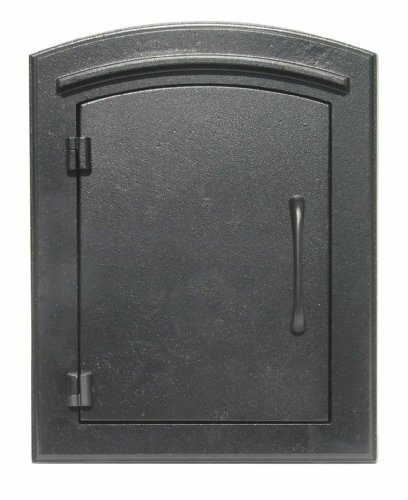 Rear access door standard, front or side access door available. Attachable postal flag kit. Mail clip for outgoing mail. 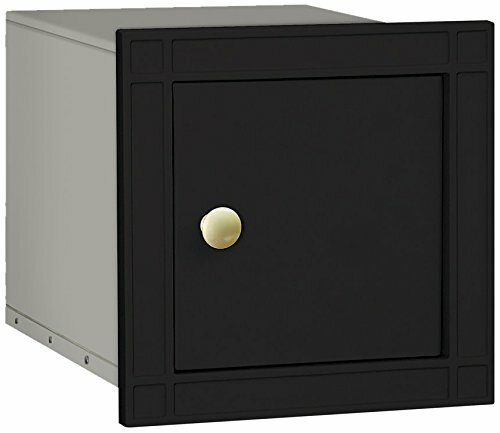 Convert your non-locking Manchester column mount mailbox to a locking mailbox with this new locking door insert. Made of powder coated steel, the locking door and plate fit inside of the faceplate and attach to the faceplate and masonry can. Adds security to keep mail out of reach from unwanted hands. Comes with lock and set of keys. 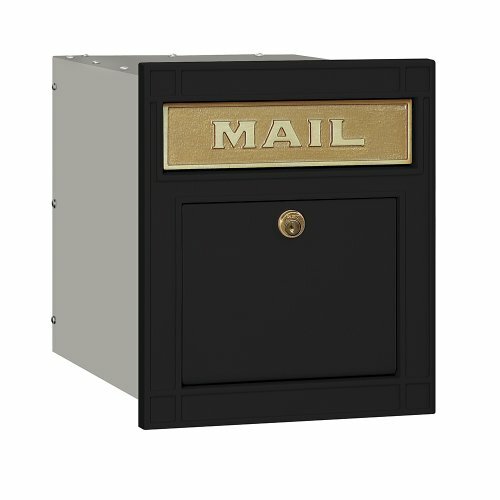 This decorative cast aluminum mailbox can be easily inset into a column, pilaster or wall. It can also be matched with an optional newspaper holder, item # new-1415-bl or add item #man-lckit to convert this to a locking mailbox. The doors have a tough powder coat finish, are sealed against the weather and it features a tough composite masonry box built to last. Oversized masonry box will hold up to seven days of mail. (Faceplate dimensions: 11" x 14.5") (product dimensions: 16" x 8.5" x 12") weighs 10 lbs. Adds a unique look to a residence . Black finish . Some assembly required . 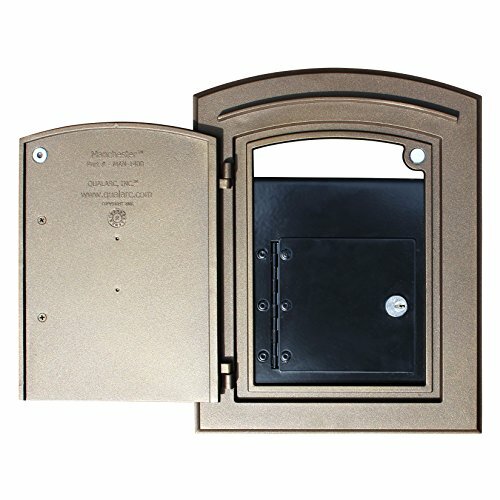 Looking for more Column Mount Mailbox similar ideas? Try to explore these searches: Wireless Cadence Kit, Canyon Dresser, and Apothecary Knob. Look at latest related video about Column Mount Mailbox. Shopwizion.com is the smartest way for online shopping: compare prices of leading online shops for best deals around the web. Don't miss TOP Column Mount Mailbox deals, updated daily.